What Are the Most Common Penalties for Medicare Fraud? The penalties for Medicare fraud are severe. If convicted in federal criminal court, physicians and other providers can face hundreds of thousands of dollars in fines and years – or decades – of imprisonment, depending upon the specific crime (or crimes) alleged. In civil cases, providers can face enormous fines, recoupments, and various other financial penalties. In all cases, a finding of guilt or liability for Medicare fraud can lead to other direct and indirect consequences as well. And providers who fail to assert a successful defense can easily find their practices in jeopardy. While the penalties for individual Medicare fraud-related offenses are severe, much of the risk in federal health care fraud investigations stems from the fact that federal agents and prosecutors have a multitude of tools at their disposal. From filing multiple counts of multiple charges to referring providers to their state licensing boards for disciplinary action, providers targeted in these investigations must be prepared to skillfully and strategically defend themselves against all angles of attack. Most Medicare fraud investigations involve allegations under the federal False Claims Act. The False Claims Act is a broad statute that prohibits the submission of any “false or fraudulent” claim for payment from the government – including requests for Medicare reimbursement. For health care providers who prescribe, dispense, and administer controlled substance medications, another potential consequence of a Medicare fraud accusation is the loss of your Drug Enforcement Administration (DEA) registration. The DEA routinely gets involved in Medicare fraud investigations targeting offenses related to providers’ prescription drug practices, and it is possible for providers to lose their DEA registration even if their investigation does not lead to a conviction at trial. While absolutely possible, criminal convictions and substantial prison sentences are relatively uncommon in Medicare fraud investigations targeting legitimate health care providers. However, a consequence that is much more common is the initiation of disciplinary proceedings by providers’ state medical licensing boards. The professional standards under most states’ medical licensing regulations are much higher than the standards for criminal culpability under federal law. 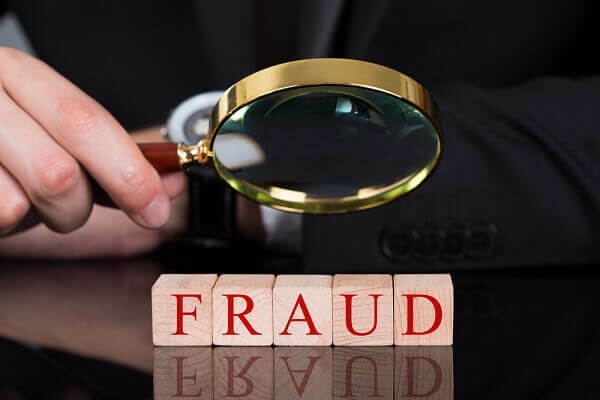 As a result, it is not unusual for providers to face license suspension or revocation as the result of a federal Medicare fraud investigation that does not ultimately lead to prosecution. If there is evidence to suggest that a licensed provider has acted improperly – even if this improper act does not rise to the level of a federal offense – the provider may still need to be prepared to present a strategic and effective defense in order to protect their privilege to practice. Oberheiden, P.C. is a national reach health care fraud defense law firm that represents physicians, physician-owned entities, pharmacists, company executives, and other individuals and businesses in Medicare fraud investigations. If you have been contacted by federal investigators, it is imperative that you seek legal representation immediately. To discuss your case in a free and confidential consultation, call us at (888) 356-4634 or request a confidential case assessment online now.